I’ve talked before about the small business I started, and closed, called Creating In Cahoots. We were told to use an Instagram bot called Kicksta (previously Instagress) to help quickly grow our Instagram followers. 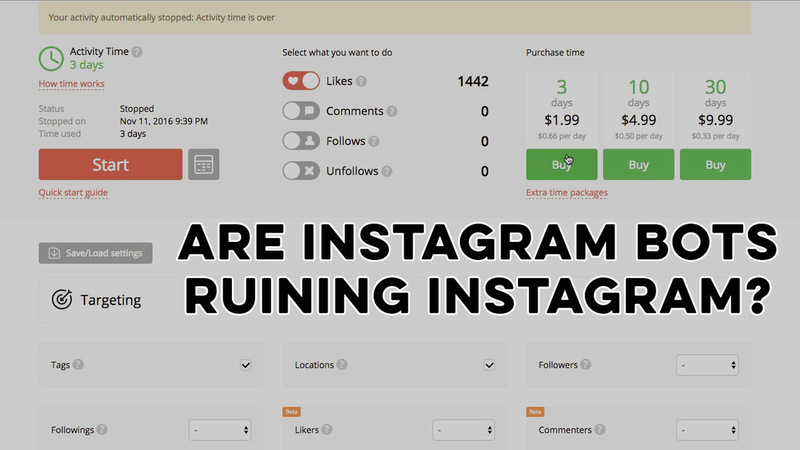 After many interactions with the platform, and other bots, I am starting to think they are ruining Instagram. Have you come across any rude, nasty bots? Have you used any that you like and feel they’re not hurting Instagram? I wish Instagram would close off their API to bots, but I don’t I’ll get my way. Am I crazy or do you agree? Recently bought an Arduino Starter Kit from Amazon. Looking forward to a few videos playing around with it.